As a tennis player, your choice of shoes matters a lot in establishing your performance. So, directing a lot of thought and attention into selecting the right ones is mandatory. Rest assured, though, that’s what we’re here for: to give you a hand. Choosing a product from the multitude of tennis shoes can be difficult. 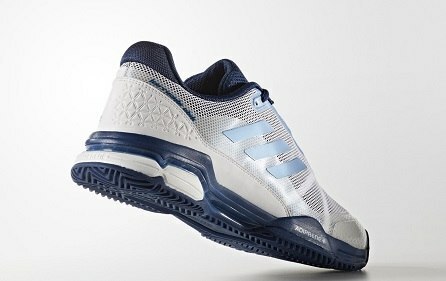 That’s why we have tested the Adidas Performance Tennis Shoes for you. On that note, today we will present to you our comprehensive review of the product. So, if you’ve been thinking of buying them and you weren’t sure, keep on reading. We’ll tackle other buyers’ opinions, pros and cons, and, of course, our individual experience with the tennis shoes. As you probably know, these tennis shoes are some of the most popular ones. They offer an accurate price-quality ratio, making them a decent choice for many tennis players. Surprisingly lightweight, weighing approximately 13.4 oz. 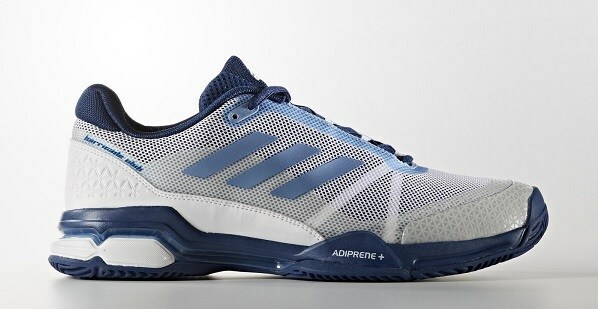 Adiprene+ cushioning system aims at maximizing your comfort while enhancing your precision and stability. 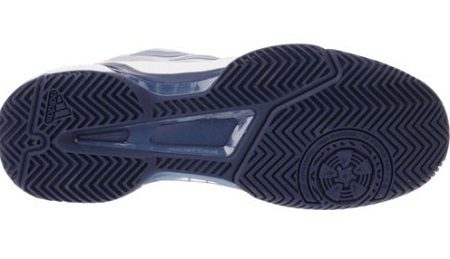 ​Made of durable rubber outsole, making the shoes suitable for any type of surface. The lightweight TPU foil & mesh upper provide optimal breathability. If you’ve been playing tennis for a long time, then you must know that shoes matter a lot. Tennis is a game in which precision is primordial. Evidently, your shoes could aid you to attain precision, or they could stay in your way. While the list of features is convincing enough, the safest way to establish the shoes’ performance is by taking them to court. Which is exactly what we did. We took the Adidas Performance Tennis Shoes and played some games. At first, the shoes felt a tad stiff. Nevertheless, we anticipated that, considering that is the case with most new shoes. One must expect to break them in. Hence, after playing tennis for about thirty minutes or so, we felt much more comfortable, as we expected. What is more, in an hour’s time, they felt amazing. That’s primarily because the shoes follow the foot’s natural contour, ensuring an excellent fit. Obviously, the optimal breathability offered by the shoes is outstanding. In fact, this aspect is naturally linked to the comfort level. Even after a long session of arduous tennis, we didn’t have to cope with sweaty feet. That’s primarily because the ample airflow maintains the feet cool at all times. Without a doubt, the cushioning is equally pleasant and comforting. In simplest terms, we felt as if the shoes hugged the feet. Concurrently, the breathable fabric maximized our comfort. As you already know, an important part of every review is presenting you the opinions voiced by the general public. Most customers were more than happy with their choice of tennis shoes. That’s because they are surprisingly comfortable, being an excellent investment for the price. Although many people have mentioned that the fit is a bit too stiff at first, they also indicated that after wearing the shoes, they become comfortable. In fact, one particular customer affirmed that the shoes were better than he had expected. He also added that the shoes help him move around on the court. On the same note, another person outlined that these tennis shoes were the best he had ever owned. Plus, he said that he had used them as running shoes, as they work in this respect, as well. Among all the things there are to like about these Adidas tennis shoes, we would have to say that their performance is top notch. The shoes come equipped with an Adiprene+ cushioning system, invented by the manufacturer itself. The distinguishing feature we like most is that the level of cushioning in the forefoot is less dense than in the heel. 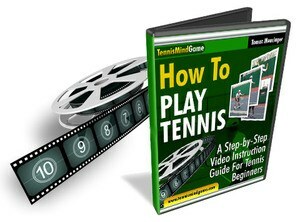 This way, whenever you intend to switch your direction – something that happens in tennis a lot – you can do that effortlessly. Nothing will stay in your way, on the contrary. Another outstanding factor is the comfort level, of course. The shoes fit perfectly, without feeling tight, nor loose. They’re just right. Furthermore, the presence of a synthetic upper is another plus. It facilitates both security and breathable space. And, on top of all, you may use the shoes on a wide range of tennis courts, as they work impeccably. While there isn’t much to complain about when it comes to this pair of shoes, we will outline a potential pitfall. The shoes might seem a bit too small at first, making you feel uncomfortable. Nevertheless, if you give them time, you’ll see that they will eventually fit, as expected. 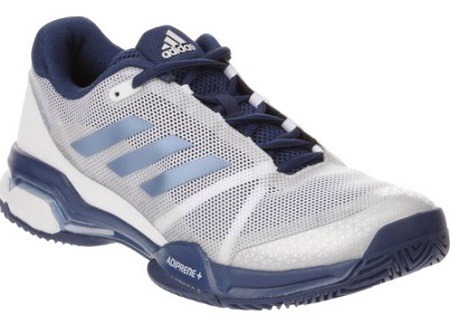 We already mentioned that you cannot beat the price-quality ratio on the Adidas Performance Tennis Shoes. For less than $150, you get a durable pair of shoes that will enhance your game, while ensuring your comfort. Nevertheless, the price will differ depending on the model you pick. Something to bear in mind. Additionally, for some models, Adidas provides a 6-month outsole guarantee. Also, if you order your tennis shoes from Amazon, you benefit from free delivery. Aside from that, you could get free returns on some colors and sizes. Let’s cut it down to the chase, the Adidas Performance Tennis Shoes are a fantastic choice. Whether you play tennis on a regular basis, once in a blue moon, or you simply need a pair of reliable sports shoes, these could be your best pick. You can play tennis with them on various surfaces. Additionally, you may use them for other activities, including badminton, running, so on and so forth. They come at a decent rate, and they allow you to enhance your game by maximizing your precision while being breathable and comfortable. There’s no other way to say it: we loved these tennis shoes. They are lightweight, efficient, and will certainly enhance your game. We advise you to get them and see for yourself.